Scientists conducted a study which led them to teaching a killer whale how to imitate human speech. The Orca is called Wikie and is a 16 year old female killer whale at a marine park in Antibes, France. According to the BBC, the female orca learned how to say “hello,” “bye bye,” and even repeat the name of her trainer Amy. The orca has also learnt how to count to three, shriek, and even blow raspberries. When Wikie was attempting to imitate human speech, she was slightly submerged and used her blowhole which resulted in getting the human equivalent of nasal speech, speaking out of your nose. The scientists were looking for a way to understand how well whales are at imitating noises in order to understand how the whales learn new things in their natural habitat. Aside from the human sounds, scientists let Wikie listen to noises which were made by another killer whale to see whether she could imitate them or not. They published their findings in the journal Proceedings of the Royal Society B. 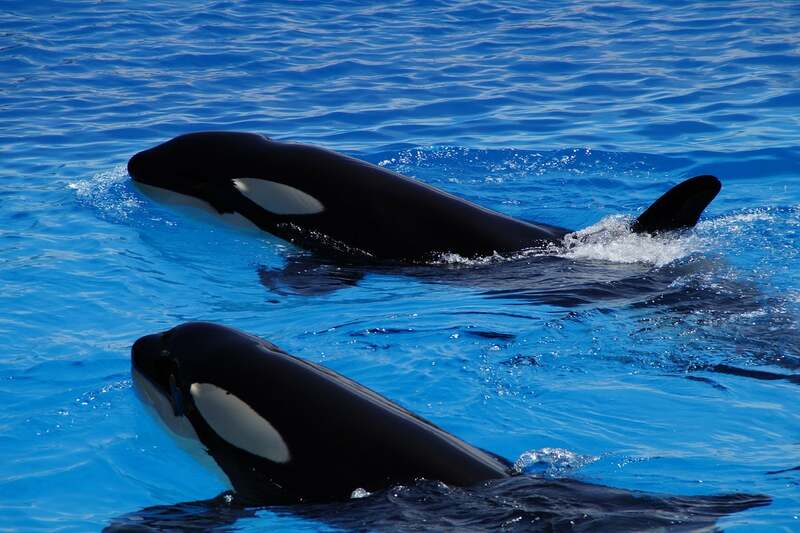 After Wikie listened to the human or whale sound, she would be requested to imitate the human speech by her trainer, who would command her by saying “do this.” They also taught a three-year old whale named Moana, which is Wikie’s calf, to make five sounds which they will use to test Wikie. In order to decide if the original sounds and Wikie’s reproduction versions matched, the scientists requested human judges to decide and they ran computer algorithms to get a more objective assessment of the resemblance. These imitations in this manner are a key component of language. Other mammals besides humans don’t have such abilities to imitate sounds. Even though many animals are naturally intelligent, they are not able to imitate human speech. Cetaceans, which are a mammal group which consists of whales and dolphins, have a record of good vocal imitation, according to The Independent. For instance, bottlenose dolphins and beluga whales were studied and recorded copying noises that they were surrounded by. Furthermore, in the wild, various killer whale groups were seen demonstrating different vocal “dialects” and have been even documented imitating noises which were made by other species. “They have even been known to imitate bottlenose dolphins and sea lions,” said Dr Abramson. The researchers behind the study thought that Wikie’s ability which allows her to imitate new noises could shed light on the process in which whales imitate sounds in the wild and in that way acquire dialects.